“Here is a video review of “most” of the lenses I currently own with the Panasonic DMC-GF1. I included all of the lenses that are reasonable to shoot with inside of a house. It has stills and videos of each lens and with each lens. I also included MJPEG and AVCHD-lite samples and some samples using a video light on the GF1’s hot shoe. Here is a synopsis of the review. 1. The legacy MF lenses are awesome for capturing low light videos. However, they are all very soft at full wide open aperture with the exception of the Nikon 50mm pancake. They tend to sharpen up between F2.0 and F2.8. 2. The m4/3s 14-45mm and 20mm produce very sharp pictures and videos. However, the 14-45mm videos get very dark at anything but F3.5. Therefore, it is only barely usable for video at full telephoto 14mm and wide open. 3. The video light really helps all of the lenses in low light. However, you can not use it to video a subject that can see. It will blind the subject even on the low setting. 4. The 50mm Nikon Pancake is by far and away the best bang for your buck. At $21 for the lens and less than $40 for the adapter it is an amazing deal. The 20mm + 50mm pancakes my an awesome combination. 5. AVC-HD lite is excellent for well lit scenes. However, the quality of the AVC-HD lite videos decreases drastically as ISO is increased. It struggles with compressing the noise because the noisy pixels are constantly changing. In these situations MJPEG might be a better choice if you are willing to tolerate a little more visible noise. Cameraquest is a US Voigtländer reseller. They made a nice site about the Voigtlander MICRO 4/3 System Adapter. You can find many pictures and precious informations. Well done camerquest! And if you want to know more about the german Novoflex Adapters check their homepage. Thanks Fabio for sending the links! Olympus Digital Zuiko 35mm f/3.5 macro review at photozone! Photozone tested the 35mm f/3.5 macro lens! Very good performance for such a cheap lens ($183.95 only at amazon ). First deal: The Panasonic 20mm f/1.7 Lens is back in Stock with the normal human price! $399 Ships from and sold by Amazon.com. Second deal: Olympus E-P1 Camera with 14-42mm Lens (Silver Body/Black Lens) for $707.61 . And finally we have some news on the GF1+20mm combo: Panasonic GF1 Camera with 20mm f/1.7 Lens will be back in stock on December 13, 2009. I recommend you to preorder now the camera. Fourth deal: Olympus E520 Camera with 14-42mm f/3.5-5.6 and 40-150mm f/4.0-5.6 ED Zuiko Lenses for $505 . Fifth deal: Olympus E520 Camera with 14-42mm f/3.5-5.6 and 40-150mm f/4.0-5.6 ED Zuiko Lenses for $681 . Interesting, the japanese blog plusd.itmedia.co.jp tested the new GIZMON Fisheye on the E-P1. Read the google english translation. The Lens itself is priced at ¥ 18,000 ($206 or 140 EUR) and sales begins on December 15. Checke the Gizmon website for more news (Read the japanese text or google english translation). Uh, and important, the Panasonic 20mm f/1.7 Lens is back in Stock at amazon US (sold by amazon for $399) . 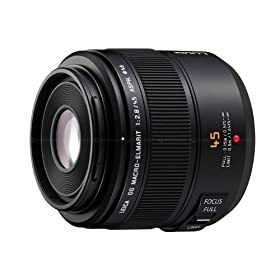 Panasonic 45mm lens in Stock at Amazon DE, amazon UK, amazon FR and PIXMANIA. The lens is now in Stock at Amazon UK , amazon DE and amazon FR . UPDATE: The lens is also available in some european pixmania shops. Click here: to check it for yourself. Read the user review written inside this dpreview forum post. Two professional reviews has been written by quesabesde (click here for the google english translation) and dpreview. (FT4) UPDATED -> The future MicroFourThirds lens list! Is Olympus going to produce a new 20mm f/1.7 lens? Forum Olympus France just compiled a nice MicroFourThirds lens list and they also have a list of future (and some unexpected) lenses! The adminstrator of the forum says he received the future lens list from Olympus! 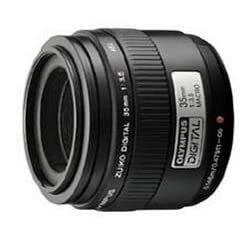 3) And that’s not a joke…Olympus Forum France adminstrator says that Olympus plans the release of the new 20mm f/1.7 lens by end 2010 early 2011! Can’t believe Olympus will copy the lens! – 7-14/4.0 Poids 300gr ; pas de filtre. – 14-42/3.5-5.6 Poids 150gr; Filtre 40.5mm. Help me help you! When you click on those links it doesn’t matter what you buy (book, CD’s or electronic items) we get a small commission for it and you don’t pay any penny more! With the earnings I get I am paying my redesign costs and it makes it easier for me to take some time off from my real job! Thanks!